What is a wagon jobber or rack jobber? 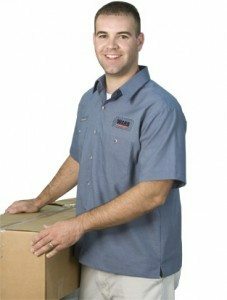 When you order products to your location either through a distributor or straight from the organization, they obviously have to send an individual to physically stock the product. The thing is, that person doing the deliveries can also be a sales representative for the company. A wagon jobber is just that. This person plays two integral roles, they get the product to you and they help to either sell you on more of the same or on more lines that fit in unison with theirs. Usually the wagon jobber is a representative of the wholesaler whose product is being shipped through a distribution network. These individuals are full of useful information that pertains to the sales and development of someone’s store-front. 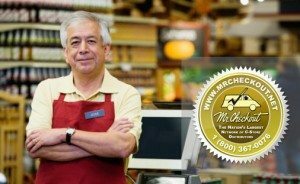 With their extensive knowledge, and practical experience in-store they can help you maximize your profit opportunity. Although, there is the off chance that these Wagon Jobbers will try to sell you on more products that are not being successful. The key to any functional relationship with your distribution network is a trustworthy mutual understanding. If you already having something good established with the company that is providing for you and you do not seem to think that they would attempt that, then it there is no need to worry. Furthermore, these people can help you to get an understanding of what products your competition may be using. If a Wagon Jobber is delivering to several locations in your region, you may want to be aware that you are not the only one selling those products and possibly discuss new routes of action with either the distributor or the Wagon Jobber himself. Overall, a Wagon Jobber is a useful tool for the development of the product in a C-store but just bear in mind that this individual represents the wholesaler rather than the overall distributor.